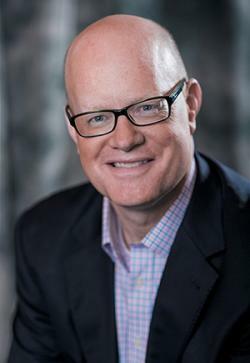 AUSTIN, TX— The Austin Convention and Visitors Bureau (Austin CVB) Board of Directors named Tom Noonan the bureau’s new President and CEO today. Noonan will replace Bob Lander, current President and CEO, who announced his retirement last fall. Noonan brings 28 years of experience within the hospitality industry to the Bureau, most recently as the President and CEO of Visit Baltimore. Noonan oversaw the team responsible for promoting the Baltimore region as a destination for conventions, meetings, and leisure visits. Under his leadership, Visit Baltimore produced historic booking levels including six consecutive years of record-setting sales between 450,000 to 525,000 future room nights annually in each Fiscal Year 2009–2014. He was also a primary architect in the creation of the Baltimore Convention & Tourism Board, which resulted in a more seamless and effective sales process. “Tourism is a leading industry in Austin and with Tom’s leadership, I’m confident we will continue to experience tremendous economic growth and contribute to our community,” said Gene McMenamin, General Manager of the Omni Austin Hotel Downtown and incoming chair of the Austin CVB Board of Directors. Prior to his role at Visit Baltimore, Noonan spent nearly two decades at the Dallas Convention and Visitors Bureau as a sales, services and convention marketing executive. He is a second generation leader in the hospitality industry and is a graduate of Luther College in Decorah, Iowa. Noonan will start in his official capacity in May 2016. He and his wife, Mindy, and six-year-old son look forward to returning home to Texas. The Austin Convention & Visitors Bureau is the official destination marketing and sales organization for the City of Austin. An accredited member of the Destination Marketing Association International, the Austin CVB is charged with marketing Austin nationally and internationally as a premier business and leisure destination, thus enriching our community&apos;s overall quality of life. In 2014 the greater Austin MSA welcomed 22.6 million visitors who contributed to $6.7 billion in economic impact and 58,000 jobs.